We, the GDPR Institut or GDPR Associates, are committed to protecting your privacy. As such we have specified in detail what data we are collecting, how we are using your data and all rights you have under the European data protection law. We may change this notice from time to time to stay aligned current with the changes in the general data protection regulation (GDPR) and E-Privacy Directive (PECR). Please check back on a regular basis to read the latest version of this notice. 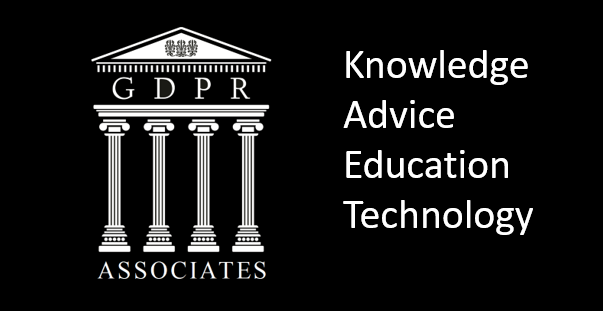 The UK based company, the GDPR Group Ltd, is the data controller for all data related to the GDPR Institut as well as GDPR Associates. We collect and process several bits of your personal information for different reasons, these are depending on the relationship we have with you. The sections below will list the different relationships and per section list the data we collect and process including our reason for doing so. We collect this data to deliver you your membership benefits and allow you to login to our website. We collect these details to be able to provide you with our services, send invoices and contact you in relation to your requests and inquiries. In all cases, you have the right to opt-out of any marketing usage by using the relevant option present in all marketing communications. For our records, to facilitate our services to you and to provide you with valuable insights on your questions and our advice, we will record all conference calls we have with you as our client. If you, at a later stage, change your mind, please contact us immediately and we will delete your call’s recording from our systems. We only share your data with our partner organisations as well as professionals we contract to provide us with the necessary expertise to fulfil your contract. We will inform you to which partner or professional we are sharing your data before we do so. We will make sure that any party we share data with is held to the same strict data protection procedures as are used by us. Data is only shared for specifically defined reasons and may not be further processed by our partners and professionals for any other reason, except when expressly mandated by us or for the defence of legal claims. At the moment that we inform you of the fact we will share your data with one of our partners or professionals, we will request you to consent to sharing the conference call recording as well. Please note you are free to object against us sharing the recording, this will not adversely affect our ability to execute the services you have requested of us. However, it may provide our professionals with a little more insight into your company and requests which may ease any additional work and may prevent duplicate questions thus saving time. However, the choice is all up to you. Under the GDPR you, as a data subject, have the right to access all data we hold of you, correct data which you deem to be incorrect or incomplete, request us to stop processing your data or request us to delete all your data from our systems. Please note: to protect your privacy as well as that of our other members, clients and prospects, we may ask you to provide proof of identity to us. This may be necessary to make sure we do not provide your data to somebody else or provide you with data that is not your own.